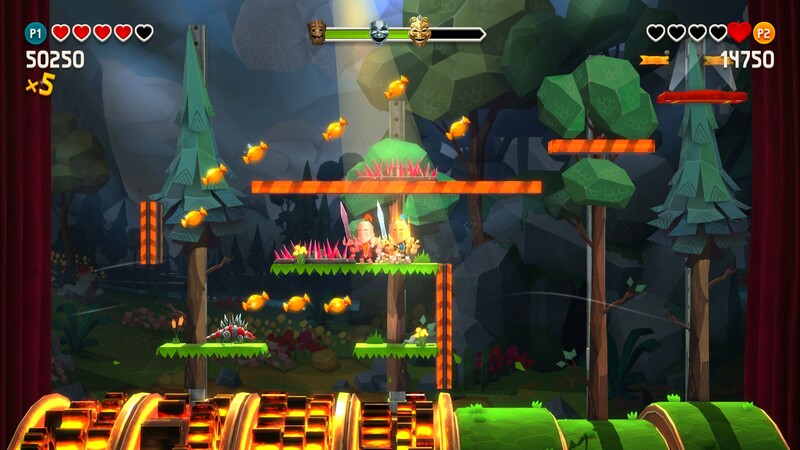 Frima Studios’ second endeavor into the realm of platformers is a very different affair from Chariot. While it retains much of the humor and charm as its predecessor, Talent Not Included is far more focused on attracting the leaderboard-chasing crowd than providing a good co-op experience. The setup for Talent Not Included is quirky enough. Three monsters want to put on a smashing play but they’ve been provided three actors that are more interested in their own desires than what the directors want. Each actor is given their own act (i.e., set of levels) with a different backdrop. The game’s three acts are further divided up into 15 stages with a boss every fifth stage. An act’s boss is always the same, but either the layout of the level where you fight them changes, or their attacks are changed up slightly every time you fight them. So the challenge increases a little bit from stage 5 to stage 10, and then stage 10 to stage 15. For example, the first boss you’ll encounter (a wizard with a helmet he calls “Princess”) fires slow moving tracking bolts and summons lightning from clouds that appear above the stage. The far sides of the stage aren’t safe as they’ve been turned into fire pits. Later on, the tracking bolts move faster, the lightning strikes use a different pattern, and the fire pits are scattered throughout giving you fewer safe places. It’s not that much of a difference from your first encounter with him, but it’s enough of a change-up that you have to stay on your toes a bit more. 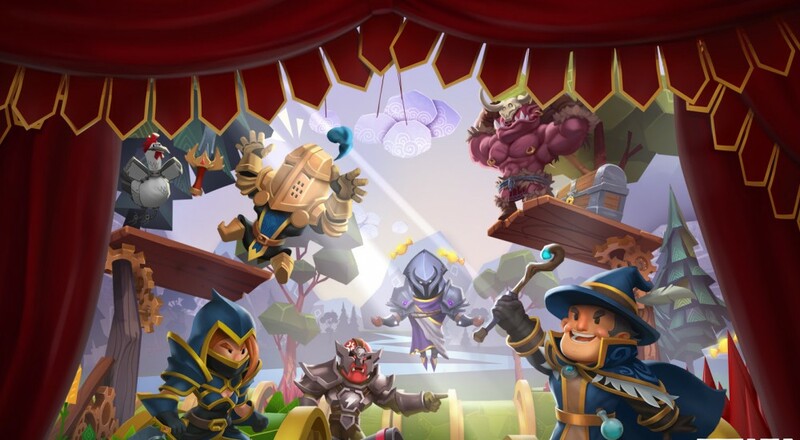 Each of the playable actors - a knight, a bandit, and a wizard - also has his or her own particular set of abilities, though they are broadly broken out into an attack, a dash move, and a double jump. The warrior, for example, has a straightforward melee attack and a dash move that can be used mid-air in order to get to a platform just out of reach, while the wizard shoots lightning bolts and teleports. The first couple stages of every act are designed to introduce the player to these abilities while the later stages require a fair degree of mastery if you want to get the high score. Every stage in the game is comprised of a series of platforming challenges that task you with using an actor’s abilities get the highest score possible in the shortest amount of time. These challenges can be as straightforward as moving from one side of the screen to the other, or as difficult as wall jumping back and forth between two spinning buzzsaws. Scattered throughout the challenges are pieces of candy that provide you with some points. The trick here is that collecting all that candy gives you a score multiplier (up to a max of 5x) that lasts until you take damage, either from one of the environmental hazards or an enemy. So, if you want to get to the top of the leaderboard, you’ll have to make it through an entire stage without getting hit once while also collecting all the candy possible and killing any foes that try to get in your way. Page created in 0.8160 seconds.